The HP LA2205wg has been discontinued. No direct replacement is available. Great overall performance with a handful of useful features. 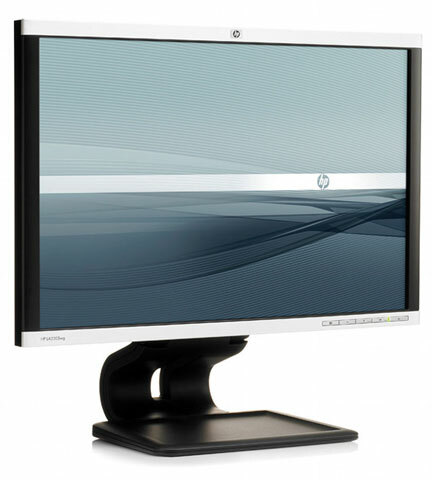 Change how you view your work with the newly re-designed, energy-efficient HP LA2205wg 22" Widescreen LCD Monitor, which helps increase productivity and lower costs through advanced user comfort and environmental design. Adjust the new slider stand to find a position that is suitable for you, whether you are a child or an adult or are shorter or taller in stature, with adjustable tilt, pivot head rotation, swivel and height adjustments. Experience 3000: 1 Dynamic Contrast Ratio, sharp resolutions to 1680 x 1050 and enhanced connectivity from VGA and HDCP compliant DVI inputs, DisplayPort and integrated USB. The HP LA2205wg is Energy Star qualified, has an EPEAT rating of Gold, is TCO 5.0 Certified, contains packaging that uses materials with a lower environmental impact and includes a low power panel.